Brainy Girls! 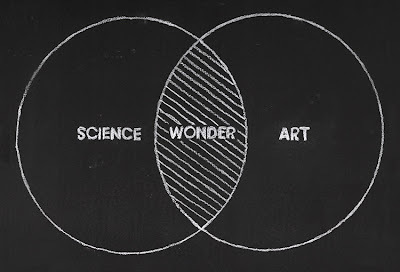 : Art and Science Intersect How? First, apologies for the lapse in posts. I've been away on vacation, enjoying some rare sun for those of us who live in the Pacific Northwest. But I'm back, and I've been thinking a lot about this issue's theme, art and literature. 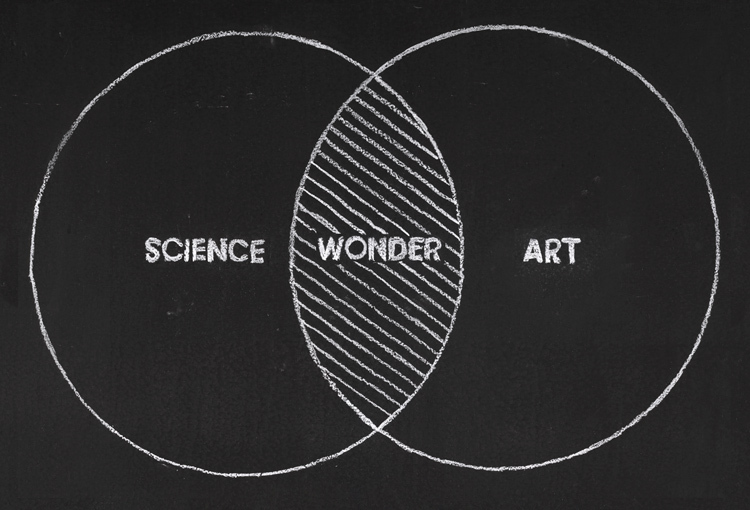 ...because science and art both start with wonder, a question, a need to find or provide an answer. When you ask a question in science, you form hypotheses and ways to test them using the scientific method. When you ask a question through art, you find answers in paintings, sculpture, songs, literature, dance...and they all follow a process of using creativity to test and choose a path towards answering the original question. How do you ask and answer your questions? Are you a scientist or an artist or both? How do both science and art infiltrate your life, in ways that you might not even think about at first? 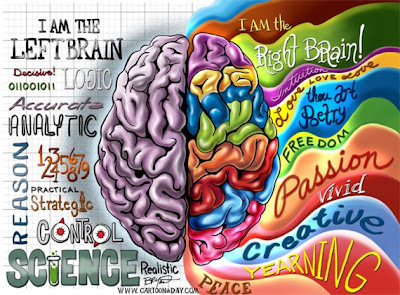 How does your brain separate logic and emotion, and how does each fuel science and art? I know, I'm getting philosophical for a Saturday morning. Just thinking, though, and I'm curious to read your musings in a comment below. Yes, I'm talking to you! I think my brain is a synthesis. I love learning and trying new things, but I tend to be unorganized about it. Until it all comes together. Gestalt! The "arts" make my heart swell in awe. The "sciences" stimulate my curiosity. It all makes sense in the end. A bellydancing biologist, for example, is not a contradiction. It's just Marci!